This gorgeous 6.5 Inch Black and White Cow Jumping Over the Moon Nightlight has the finest details and highest quality you will find anywhere! 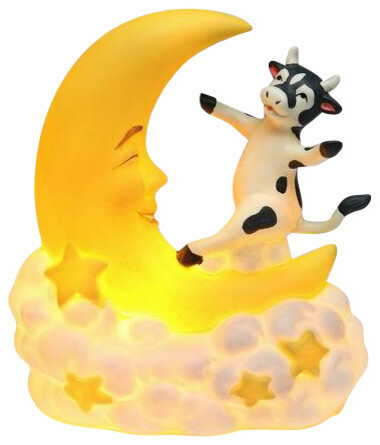 6.5 Inch Black and White Cow Jumping Over the Moon Nightlight is truly remarkable. W 5.5" / D 3" / H 6.5"
Sold by StealStreet- Free Shipping!